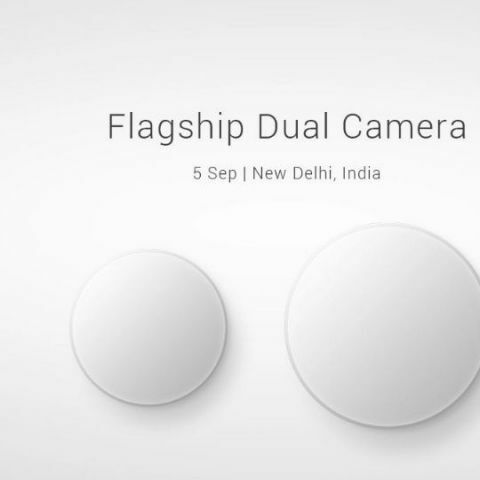 Xiaomi is planning to launch a new series of smartphone with dual cameras on September 5. The smartphone is expected to be the first Android One handset from th company designed in collaboration with Google. Xiaomi Mi A1, the purported dual rear camera smartphone with stock Android has stopped by GeekBench benchmarking platform days ahead of its official launch. The smartphone is rumoured to be the Android One version of the company Mi 5X, the handset which was launched recently in China. 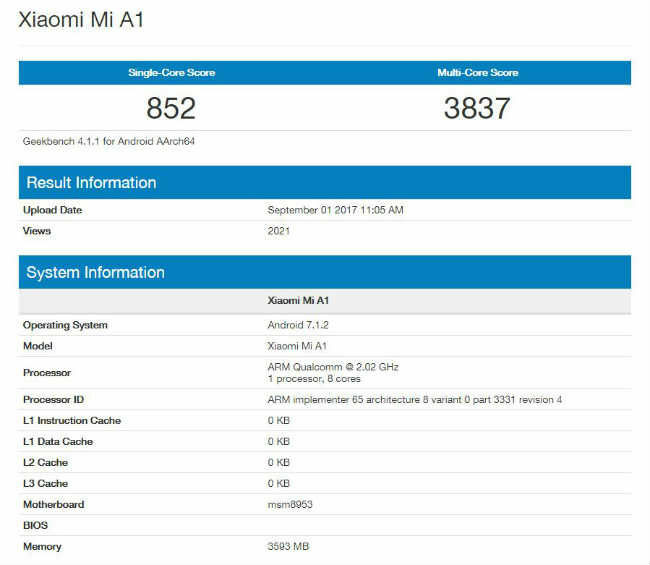 The Xiaomi Mi A1 has performed well on GeekBench with a single-core score of 852 and multi-core score of 3837. The performance seems on par with smartphones powered by Qualcomm Snapdragon 625, which is expected to be under the hood of Mi A1 as well. The listing further reveals the handset offers 4GB RAM and runs Android 7.1.2 Nougat. Xiaomi was previously expected to announce the Mi 5X in India on September 5, but it recently confirmed that a new series is coming to the global market. Most reports originating from Indonesia point at Xiaomi joining hands with Google to launch an Android One smartphone instead. The company is said to be using the Mi 5X as the reference for its first Android One device. The company has already confirmed that its September 5 event in New Delhi will see global launch of a new series. The first device in this new series could be the Mi A1, a stock Android version of the Mi 5X. The Mi 5X's is one of the cheapest smartphones to embrace a dual rear camera setup. Xiaomi claims that the Mi 5X uses the same image sensors as the ones found on its flagship Mi 6 smartphone. The Mi 5X offers dual 12MP rear cameras with one wide-angle and another telephoto lens with 2x optical zoom. The rear camera supports phase detection autofocus and includes a portrait mode. It also gets an improved 5MP front camera with support for 1080p video recording. The Xiaomi Mi 5X sports a design similar to the existing Mi and Redmi series and is backed by a 3080mAh battery. The smartphone is priced at 1,499 Yuan (around Rs 15,000) in China and is expected to debut at a similar price range in order to tap into the growing budget smartphone market. If Xiaomi joins Google to launch a stock Android device then it will be a big win for the search giant, which is struggling to limit the fragmentation within the Android ecosystem. Lately, Lenovo has also ditched its Vibe UI to adopt a stock Android interface. Xiaomi has also confirmed that its new series will be available exclusively on Flipkart. Xiaomi Redmi 1s OR Canvas A1 (with Android One) - which is better?